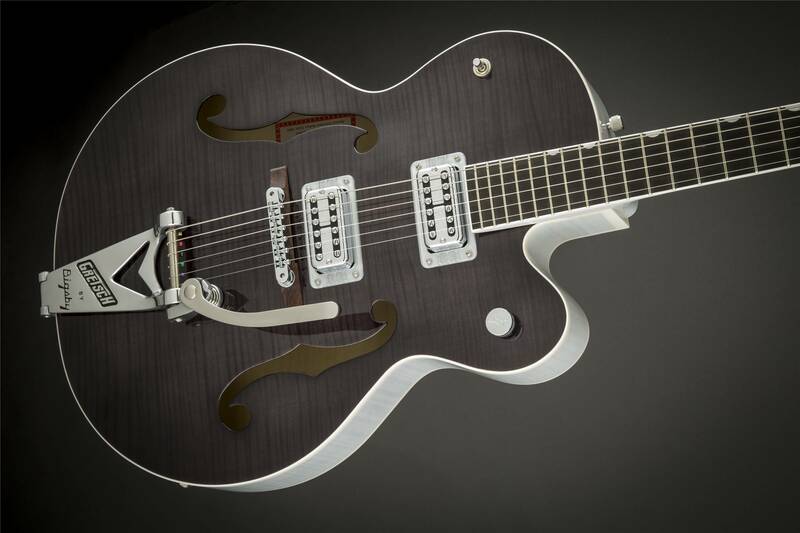 Gretsch® Brian Setzer Hot Rod Models are stripped-down and built to Brian’s exacting specs. 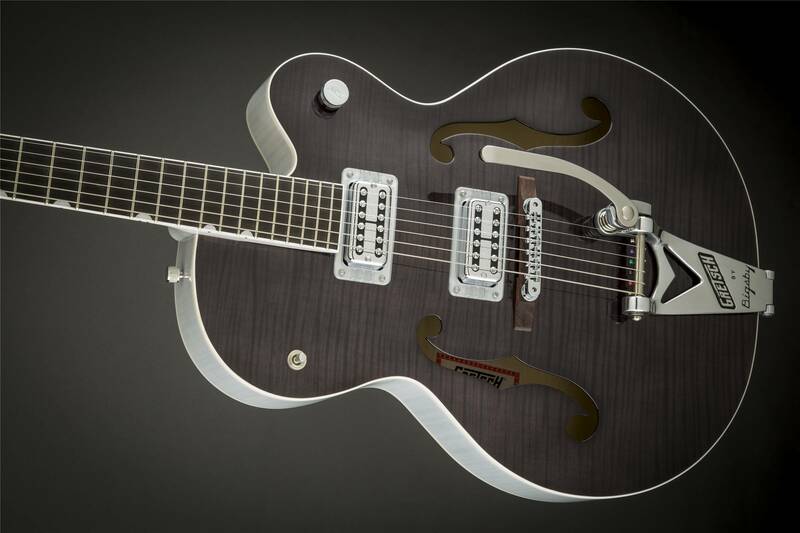 Now featuring a striking assortment of colors over a flame maple body. 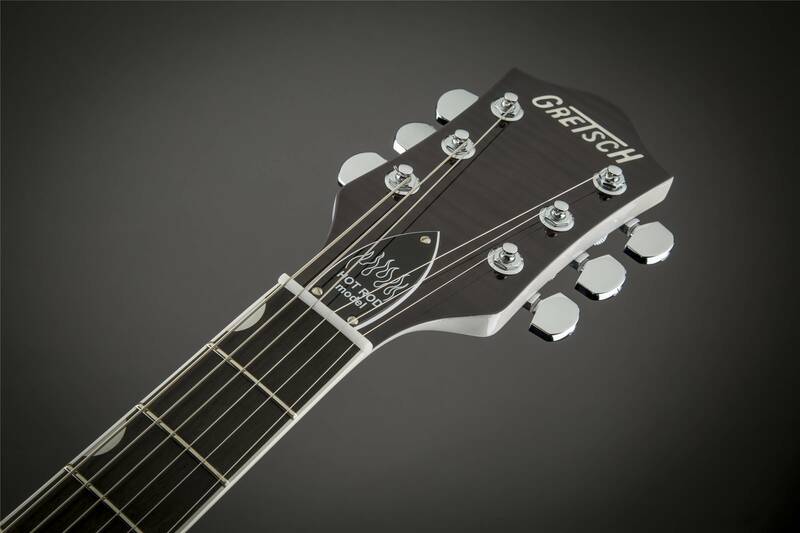 The single-cutaway bound hollow body has an arched top, 1959-style trestle bracing and F-holes while the maple neck has a bound ebony fingerboard with Neo-Classic™ thumbnail inlays. 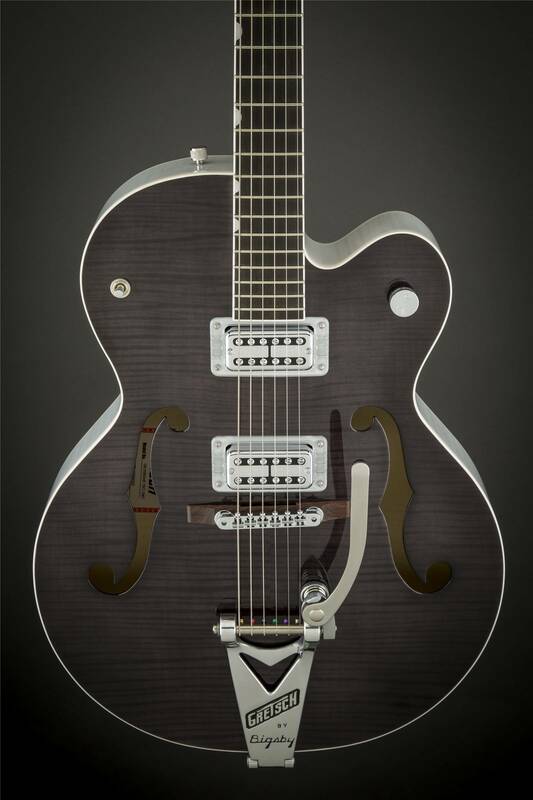 Other features include dual Brian Setzer "Signature" TV Jones® humbucking pickups, three-position pickup switch, single master volume control, Schaller® locking tuners, pinned Adjusto-Matic™ bridge and Bigsby® B6C vibrato tailpiece.